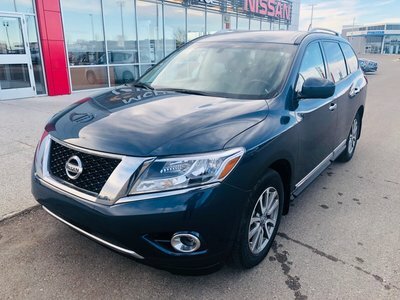 Need up to 7 Passenger seating but don't want a minivan? 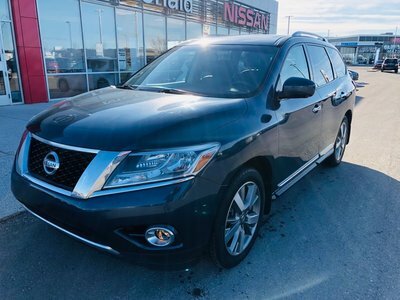 Check out this 2015 Nissan Pathfinder that we just took in on trade. 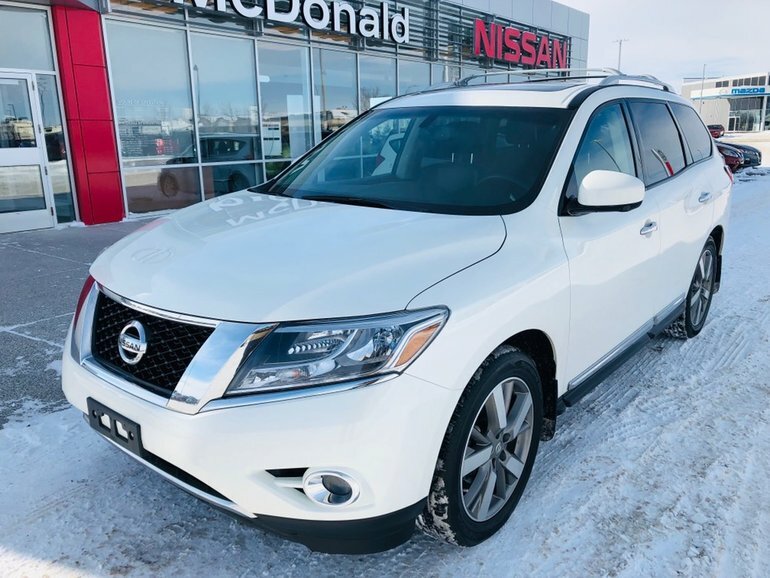 Fresh through our shop this 4WD is in great shape with features such as leather heated seats, heated steering wheel, 360 around view monitor with moving object detection, power rear hatch, navigation, tri-zone climate control and much more. Interested? In order to provide the best service possible please give us a shout at 1.888.328.9651 toll free to schedule your test drive today! 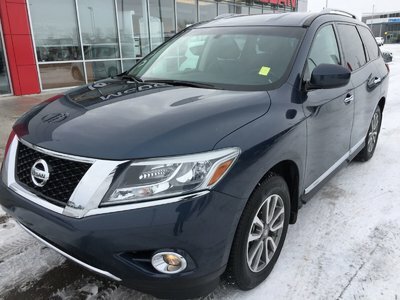 Interested by the 2015 Nissan Pathfinder Platinum 360 Camera Blind Spot Monitoring?